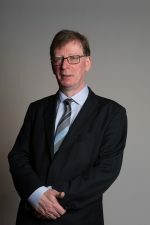 Professor Edward Sweeney is Director of the Aston Logistics & Systems Institute at Aston University, Birmingham, UK. He was previously Director of the National Institute for Transport and Logistics (NITL) in Dublin. The focus of his current work is on resilience and sustainability in global supply chains. This presentation focuses on the people dimension of the supply chain in the context of both research and practice as evidenced in the many empirical studies that have been conducted over the years. This aspect of logistics and supply chain management (SCM) is important in the context of many core concepts in the field. These concepts include supply chain relationship creation and management, management development and education, communication within and between firms, supply chain change management and the potential role of supply chain learning (SCL). However, there is significant evidence that this crucially important dimension of SCM has been relatively neglected. In this context, the emphasis has been more on investment in supply chain enablers such as technology and systems than on investment in people. This highlights an imbalance between the soft-wiring (i.e. the people dimension) and the hard-wiring (e.g. technology and other physical infrastructure) in the supply chain improvement initiatives of firms. The presentation provides an overview of the concept of integration which is in many ways the central precept of SCM. It then notes that there is significant evidence of a divergence between theory and practice in this core area. This divergence is discussed with specific reference to the “hard-wiring” and “soft-wiring” of supply chains. It goes on to highlight some key implications for supply chain professionals across a range of industry sectors.